Day 340. 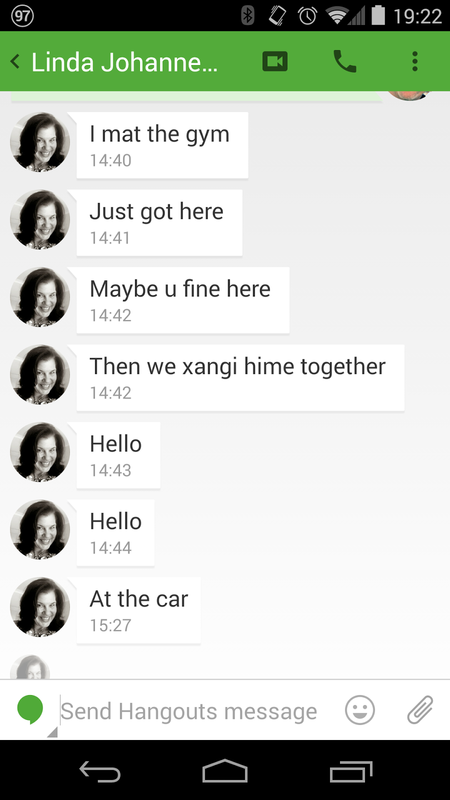 Linda was sending me a bunch of text messages today that were a little, um, autocorrected. She was at the gym walking on a treadmill apparently, and the phone had a bit of a mind of it's own as to what the text was supposed to say. So of of course, when someone is "mat the gym" and is asking " maybe u fine here" and whether you want to "xangi hime together", there is really only one thing to do... turn it into a song of course.